DUBAI police could soon be swooping in on crims from the sky. 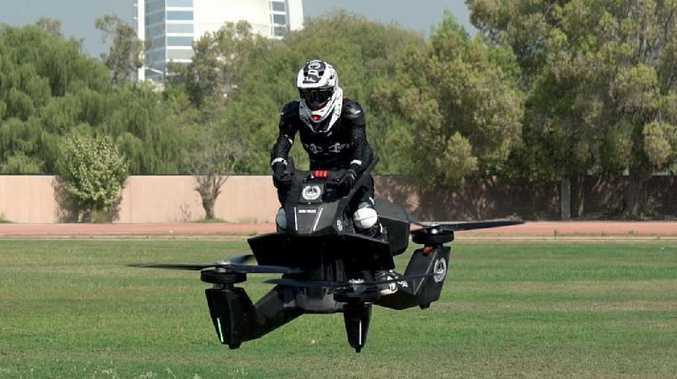 The Middle Eastern nation's cops have been caught training on hoverbikes that they claim will help first responders reach difficult areas more easily. It marks another extravagant addition to the country's police force, which already has a Ferrari and Lamborghini among its crime-fighting cars. And the robocoptors could be one day be piloted by robocops, with Dubai eager to have robots alongside regular police by 2030. Hoversurf - a Russian-owned company based in California - has gifted Dubai's police its first serial production of the electric vertical take-off and landing (eVTOL) vehicles after a deal was signed last year. 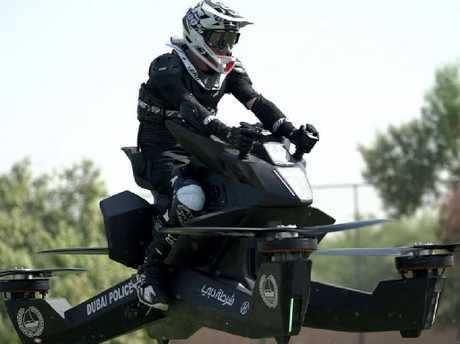 The company's chief operating officer Joseph Segura-Conn said the force could order as many of the $150,000 ($A206,000) hoverbikes as they want. "They're going to let us know in the next month or two if they'd like any more ... If they would like 30 or 40, we'll make it happen for them," Mr Segura-Conn said, according to CNN. Police could zip around as high at four metres off the ground atop the 115kg Hoversurf S3, which can reach a maximum speed of about 100km/h. But they better hope they're not caught up in any lengthy pursuits. The futuristic vehicle can only be piloted for no longer than 25 minutes, although they can operate for up to 40 minutes if used as a drone. General director of Dubai Police's artificial intelligence department Brigadier Khalid Nasser Alrazooqi told CNN training was already underway. 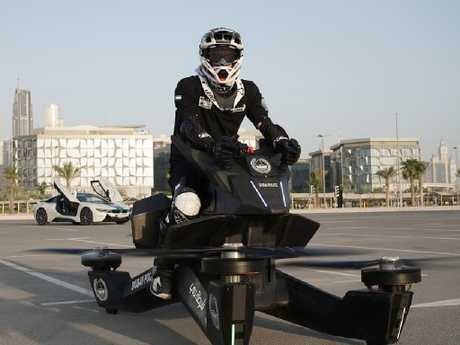 "Currently we have two crews already training (to pilot the hoverbike) and we're increasing the number," he told CNN. Last year, Dubai launched a police robot that marked the first phase of a bold move to integrate robots among their officers. 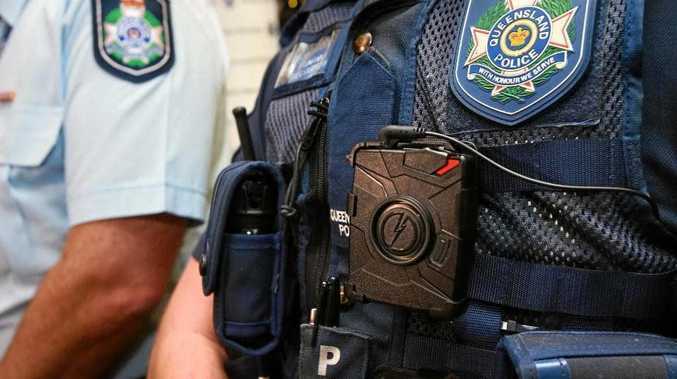 The country hopes robocops could make up 25 per cent of its police force by 2030. Intended to operate at shopping centres and tourist attractions, the REEM robot can settle fines, send video to a police operating centre, forward crime reports, and even speak nine languages. As for consumers who might want in on the action, orders are open. The hoverbike meets Federal Aviation Administration guidelines in the US, so you wouldn't need a pilot's license to fly. However, Mr Segura-Conn said all buyers are screened to make sure they have a handle on the flying motorbikes.